For more information on the latest congressional actions on the federal estate tax (or death tax) and what to do in your estate planning documents such as wills and trusts, visit the Estate Tax Reform Update For Pennsylvania Residents by clicking this link. David Frees has been selected as a 2010 Pennsylvania SuperLawyer in the area of trusts and estates. 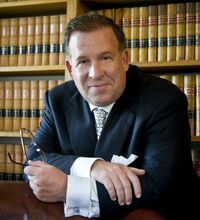 His offices are located in Phoenixville, Paoli, and West Chester, Pennsylvania and serve the surrounding communities of Exton, Downingtown, Chester Springs, Collegeville, Devon, Berwyn, Wayne, Ardmore, Gladwyne and many others.